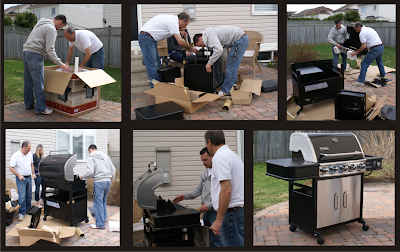 Now that the warm weather is seemingly here to stay, we decided it was time to get a new bbq. Chris, with help from Jim and supervision from Sarah, put it together for us on Sunday. We had a great steak dinner afterwards. No pictures of that .... guess we were too busy eating.